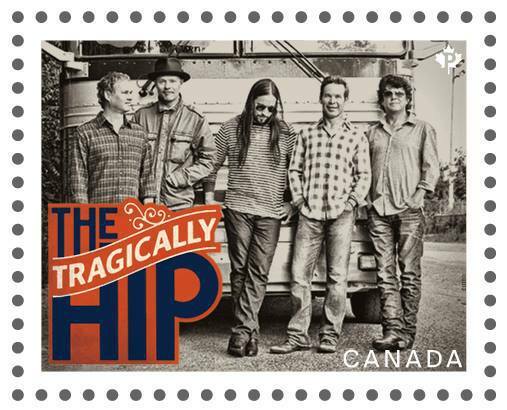 Canadian rockers The Tragically Hip announced Tuesday that frontman Gord Downie has been diagnosed with terminal brain cancer and that they’ll hit the road for a farewell summer tour this summer. The Kingston, Ontario band issued a statement revealing the 52-year-old Downie received news of the illness in December of 2015. “Since then, obviously, he’s endured a lot of difficult times, and he has been fighting hard,” says The Hip. “In privacy along with his family, and through all of this, we've been standing by him. Details regarding a summer tour will be issued later this week. The CBC reports neuro-oncologist Dr. James Perry told a news conference at Toronto’s Sunnybrook Hospital that Downie has glioblastoma, the most common and most aggressive of the tumours that originate in the brain. It is one of the most common causes of cancer death in Canadians between 40 and 60 years old. "They're impossible to remove completely by surgery and they frequently recur," said Perry. "It's my difficult duty today to tell you Gord Downie's tumour is incurable." Following the diagnosis, Perry said Downie underwent surgery and six weeks of chemotherapy and radiation, which he finished last month. The Tragically Hip formed in 1984 at Kingston Collegiate high school where Downie, bassist Gord Sinclair and guitarist Rob Baker were students. Along with drummer Johnny Fay, the original lineup included saxophonist Davis Manning, who left in 1986 – the same year guitarist Paul Langlois joined. Taking their name from a skit in the 1981 Michael Nesmith movie “Elephant Parts”, the band signed with MCA Records in 1986 and issued a self-titled debut EP a year later. A full length album, “Up To Here”, followed in 1989 and delivered Canadian rock radio staples like “New Orleans Is Sinking” and “Blow At Dough” on its way to diamond status in the country for sales of 1 million. The Hip quickly developed a devotional following at home and in some pockets abroad through endless touring, with enigmatic frontman Downie an electric and unpredictable presence at center stage, akin to a modern day Jim Morrison of The Doors. Combining unabashedly Canadian-centered lyrics with powerful live performances, The Tragically Hip went on to release 12 studio albums to huge success in their homeland, earning 14 Juno Awards and inductions into both Canada’s Walk Of Fame and the Canadian Music Hall Of Fame. A 13th album, “Man Machine Poem”, will be released on June 17.